The following is a selection of the wonderful feedback we are thrilled to receive from our clients. We really do love hearing from you, thanks for all the kind comments. Everyone told me that doing major building work would be one of the most stressful things I ever did. Thanks to Tom and his team at Pinnacle, it was one of the most exciting and satisfying things I have ever done. The only stressful part of it was choosing tiles and paint! 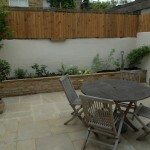 They have a crack team of tradesmen who take huge pride in completing work to a very high standard. They never even stopped for a tea break! As project manager, Tom was more of a perfectionist than me, often noticing (and putting right) very small details that I hadn't seen, ensuring that everything was perfect. 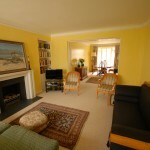 My flat is unrecognisable from how it was before, a larger, warmer and completely different space. I couldn't be more happy with Pinnacle and have been recommending them to everyone. THANK YOU!! Dear Tom and all your team - the house looks amazing! Thank you for creating such a gorgeous first home for us. You were all very helpful and understanding when we threw new requests at you; I do not know how you guys did it all! Huge thanks! 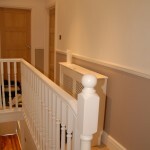 A simple decorating job carried out to a very good standard at a very competitive rate. The whole process was extremely efficient - Estimating, Accommodating my quirky timescale and order in which I needed the decorating to be done to completion. The team from top to bottom were always friendly, polite and extremely considerate in my home. I am an Interior Decorator it is always a pleasure to find reliable companies to work with - I would happily use them on future projects and recommend them to others. Having spent the past eight years bringing up three young children, the time had definitely come to give the interior a makeover! The decorators at Pinnacle did a brilliant job and the transformation is amazing. The challenge now is to try and keep the children away from the walls! Pinnacle not only provided the cheapest quote, but also delivered way beyond my expectations. 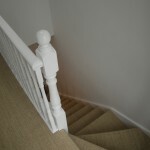 The painters were very tidy, immensely quick but most importantly finished the job to a very high standard. They even did some extra painting at no extra charge that wasn’t included on the quote. Considering this was a big external job at the end of a wet October, I’m amazed they finished in under a week. No prizes for guessing who I’ll go to for the upcoming interior refit! Thank you so much for managing this project - it was such a relief to be able to stay at home and work rather than shuttling between SW11 and N15. Here's hoping my wee house will stay watertight for a good few years. Thank you very much for your work on the bathroom. I am very pleased with the result! 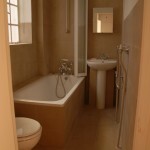 Pinnacle Building Projects undertook a project to transform my bathroom. The builders worked long days finishing the work ahead of schedule. If any issues were raised during the project they were quickly resolved. 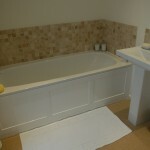 The end result is a bathroom that I am delighted with and I would recommend Pinnacle to anyone wishing to have any work done on their property. We have been very pleased with all the work that has been done for us and we will certainly be in touch with you when we have decided what further work we need and in what order. Finally, I just wanted to say thanks for all your help. You guys were exactly what I needed, given I was not there to make choices, size things up, look at colours and tiles etc, so thanks for all your help. If I have any future work then I will be happy to give you a call to see what you can do. We used Pinnacle Building Projects for the whole refurbishment programme and were absolutely delighted with the results. The whole operation ran smoothly from start to finish and unlike other building jobs kept to the schedule you provided us with following the initial site meeting." 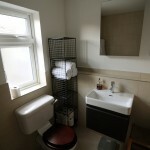 "The kitchen and bathroom now look lovely and the whole flat is like a different home - we look forward to working with your team again in the future and in the meantime will be recommending you to our friends on the refurbishment/upgrade cycle - you took the stress out of what is normally a very gruelling experience. Thank you! Many thanks to you all for doing everything so efficiently! I would definitely recommend Pinnacle. They have done fantastic work on our flat and have taken the stress out of decorating and we will be using them again in the future! 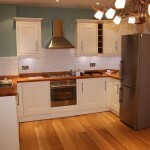 We engaged Pinnacle to completely refurbish the basement kitchen and dining area of our home. While there were unforeseen challenges along the way to do with old wiring, corroded pipework, uneven walls etc the team coped extremely well, found solutions and delivered a very high finish. We would definitely use them again in the future. Your painters worked so hard and were so friendly. They were clean and quick. I could really see the progress each day when I came back from work. I will be recommending these guys to all my friends! Thank you so much. It was a pleasure to have Mark and Tomas here. They have made my room look beautiful and I thought Mark was very stoical to have produced such work when clearly he had a bad cold - verging on flu! The decision to use Pinnacle – and the management service they provide – was a very good one indeed. Simon was the calm and reassuring ‘link’ between Pinnacle’s builders (and any other third party, such as designers) and me, which was ideal as I work during the day. Pinnacle provided perfect peace of mind, and the whole project ran very smoothly. They have got a great team of friendly, trustworthy workmen who were incredibly clean and tidy and I wouldn’t hesitate to recommend them to anyone else. Pinnacle did a fantastic job at painting the windows and window frames of my flat. The windows were in a bad state and desperately needed painting. Pinnacle got the job done quickly and without fuss, and two years later, the windows are still in a great state. The team at Pinnacle did a fine job and I was delighted with the results. I have already been recommending them to others and recently took delivery of a bottle of their champagne for my efforts! I wish all builders were this friendly and easy to deal with. Thank you so much. My kitchen now looks lovely! Many thanks! 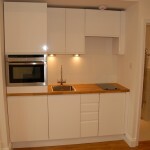 Pinnacle provided a fast, well laid out and competitive quote which they undertook in a timely and efficient manner. The team were polite, tidy and hard working; we are delighted with the work they performed and would not hesitate to use them again or recommend them to others. Pinnacle were a pleasure to deal with, the team were punctual, polite, tidy and professional, everything builders are traditionally not. The two projects they have done for us came in on time and on budget, and in both cases the deadlines were tight. We could not recommend them more. The service recieved was prompt and professional, special thank-you to Tom for being flexible enough to arrange the work around me because I live outside London and frequently work out of the country. I would recomend this company to a friend. The whole experience of dealing with Pinnacle was a pleasure; the work has been done very professionally and promptly, with an excellent attention to detail in finishing the job off. The site (our kitchen) was left tidy and usable at the end of each day, and now looks superb. 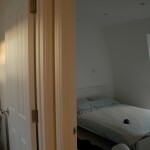 Pinnacle Building Projects Ltd provided me a reasonable and honest quote to replace a ceiling and decorate a bedroom. Tom (Project Manager) and Vladimir (builder) were good to deal with. The team builders were led by Vladimir and they were punctual, polite, tidy, and professional hard working builders. I am very pleased with the quality of the work. 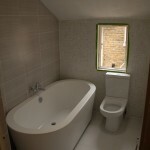 I would definitely recommend Pinnacle Building Projects Ltd to anyone. We were extremely happy with the work contracted through Tom at Pinnacle and completed by Ivan. 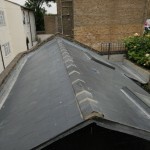 The work was completed to a very high standard and we would definitely use Pinnacle again and recommend them to others. During the installation of our kitchen it became clear that we had been misinformed by the provider of the units as to the products and quantities that we required. The team was very accommodating by returning and replacing the incorrect units for us and also worked extra hours at the end of the day to get the job completed on time. A very professional service - highly recommended. We gave Pinnacle a detailed project with an agreed deadline to redecorate our house completely together with some carpentry and electrical work. The team worked hard and efficiently to a high standard. We were very impressed with their quick response time and by the "can-do" attitude to our additional requests. The job was very competitively priced, even allowing for the expected extra costs. Most importantly for us, the job was completed by the agreed finish date and the house looks fantastic. The entire experience has been a pleasure.